As a Bangkok commuter living in the suburban areas of the city, I find travelling by private car a necessity. Most days travelling to and from work is the main priority, but things get more complicated on the occasions I need to go into the Sukhumvit or Sathorn area of Bangkok. Whenever possible, I’d suggest using the BTS skytrain or MRT subway lines if it is convient. There are designated parking lots situated at the certain stations like Mochit, Thailand Cultural Center, and Queen Sirikit Center for BTS and MRT passengers. When using these parking lots, remember to stamp your parking cars at your destination station to get the lower parking rate. One word of caution, check the times of operation for these parking lots since most close at 1:00 am. If you have not collected your car, you will have to pay a rediculous overnight fee. Thailand has many national museums located in different regions of the country where you can learn about Thai history, traditions and cultures. 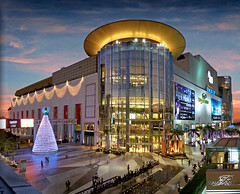 The main museum is located in Bangkok next to Sanam Luang, not far from Wat Pra Kaew. Dengue fever is up 94% from last year. Currently, the most affected provinces are Narathiwat, Phayao, Krabi, Chiang Rai, Rayong, Songkhal, Pattani, Petchabun and Trat. Experts think that a longer raining season can be affecting the rise in the disease. While I was living in Thailand as a teenager, I contracted dengue fever and spent one week in the hospital with an IV drip. Actually, I went to the local clinic and was first diagnosed with the flu. However, within the next two days my condition had worsened to the point that I was admitted to Samitivej Hospital. I was treated for the symptoms of the disease but I want not diagnosed with dengue until my blood tests returned from Australia. This was almost 12 years ago, so I hope that diagnosis for dengue is better now. I highly recommend using insect repellent, even during the day, to avoid getting bit by the mosquitoes carrying this disease. Also, try to get rid of any pools or puddles of stagnant water where mosquitoes can breed. If you suspect you have dengue fever – get to the doctor quickly. 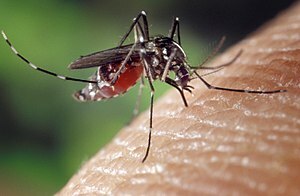 Dengue (pronounced DENG-gay) fever is short for dengue hemorrhagic fever (DHF) and is common in the tropics including South American and Southeast Asian countries. Dengue can be life-threatening, especially for very young children or elderly. Dengue differs from malaria in that it is equally common in urban areas as in rural areas, although they are both spread via mosquito vectors. Dengue is transmitted to humans by the striped Aedes (Stegomyia) aegypti or Aedes albopictus mosquito, which are daytime feeding mosquito. Dengue commonly strikes people with low levels of immunity. It is possible to get dengue fever multiple times even though an attack of dengue produces immunity for a lifetime to a particular serotype of the virus (there are 4 serotypes). Dengue goes by other names like “breakbone fever” from the intense joint and muscle pain often associated with the disease. This Bangkok Post Article from June 2009 has wonderful insight into some of the problems created because of the Thai concept of “greng jai.” The author discusses how asking questions, particularly if they are perceived as challenging, can be confounding and aggravating for Thai elders. As a result, many Thai students and employees have learned not to ask questions. As any teacher in Thailand knows, its so hard to get Thai students to ask questions and have an open discussion. In the business world, this aspect of Thai culture has made Thailand less competitive in the global economy as many Thai businesses fail to evolve and progress. Thai-style management often results in having employees who don’t ask, don’t question and don’t confront. because they don’t want to be considered rude or aggressive. Everyone ends up waiting for the boss’ say since he is the one with the highest authority. While “greng jai” is an embedded part of Thai culture, how can we overcome some of the negative consequences in the classroom and workplace that result from it. If not, we as a society and a country will not really go anywhere far. What happens so many times in Thailand, we will end up leisurely working towards an unknown destination while waiting for others to make the big decisions and think for us. The 7 Divos is a part of an annual concert series organized by radio station, Green Wave 106.5 FM, as a charity fundraising event. This year the concert will be held on August 21-22, 2010 and features 7 popular male artists dressed in flashy tuxedos. There will be tons of screaming fans, especially for Pee Kop, Pee Kong and Waan. Each artist has selected a special women which represents something special to him and the proceeds from this event will be split between each of the seven women and associated causes. One of the most heart touching moments was went Ma Tew from Home Huk Foundation brought the children to sing a special thank you. The concerts also have a goal to raise 1 million baht in donations from its audience, in additional to a portion of the proceeds from the sale of the merchandise. Kob Songsith : กบ ทรงสิทธิ์ supports Baan Chaiyapruek for abandoned children with Dr. Pan Soorn. Concert begins at 8 pm at Royal Paragon Hall, Siam Paragon. Doors open at 7 pm. I am not a coffee lover. I love the smell of coffee but, I can’t drink the stuff. I stick to tea products. Luckily, in Thailand that’s not really hard to do with the selection of milk teas available to choose from. So, imagine my surprise when I went to Starbucks and was offered a sample of a coffee drink with coffee jelly that I actually liked!! 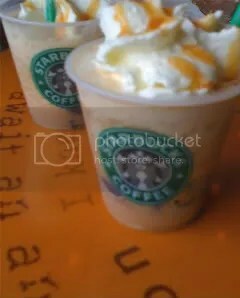 The sample cup was a miniature starbucks glass complete with the whipped cream and caramel on top. So cute! It’s actually a re-release of the popular coffee jelly frappuccinos and caffe latte. The Starbucks Dark Roast coffee bean was used to give the coffee jelly its flavor. The coffee jelly taste is subtle and similar to that of espresso coffee. Enjoy our Coffee Jelly that is made from our premium Starbucks Dark Roast in Coffee Jelly Frappuccino Blended Coffee, Caramel Coffee Jelly Frappuccino Blended Coffee and Iced Caramel Coffee Jelly Caffe Latte. If you’ve ever tried to learn how to read and write in Thai, you’ve probably discovered that those curvy letters and numerous characters make Thai a challenging language to master. But, as with most things a bit of practice goes a long way to improving your Thai. This Mother’s Day, try reading a few messages on the LearningThai.com website written in Thai by primary students. The difficulty increases with the age of the student so you can find the level appropriate to your ability. This video highlights The Cambodia Project which presented its Social Impact Assessment (SIA) at the GSVC Global Finals at UC Berkley in 2009. The Global Social Venture Competition (GSVC) strives to elevate the visibility of new ventures through their annual business plan competition. GSVC organizes and hosts a social venture business plan competition that provides a global forum for entrepreneurs to showcase their plans and for investors to support groundbreaking social ventures. The Cambodia Project was chosen as a finalist by the Columbia Business School to travel to California to meet with social venture capitalists in the San Francisco Bay area to raise interest and capital, in leading to the organization’s 2009 summer mission in Phnom Penh. The Cambodia Project is a US based nonprofit organization whose mission is to build sustainable communities through secondary education, in developing countries, beginning in rural Cambodia. The Cambodia Project believes, if poor, rural children worldwide have access to comprehensive secondary education that is both economically and environmentally sustainable; if their families have access to high quality health services, then economic and community growth will be stimulated, helping to alleviate the cycle of poverty in developing communities. The Cambodia Project’s holistic education initiative is to construct environmentally friendly, economically sustainable, community managed secondary schools (grades 7-12) in rural Cambodia that employ highly trained teachers, and offer students excellent academic courses and life skills. The Cambodia Project’s mission is supported by three pillars: health services for students and staff, environmental sustainability in the schools’ construction and maintenance, and economic growth from local agriculture revenue generation streams. After 2 years absence, I have decided to return to writing this blog again. Now that I’ve finished my MBA degree, I’ll finally have some time to dedicate to my blog. I hope that I’ll find some interesting and new topics to keep you readers entertained.